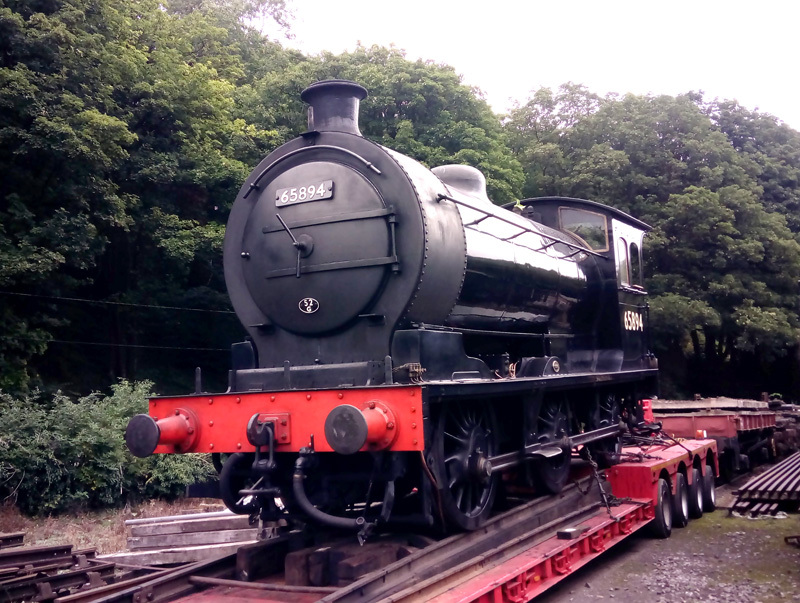 The J27 has returned to the NYMR after its holiday on the Wensleydale Railway. Cloudy and dank at New Bridge (at least under the loco and tender). Les and I joined Chris Cubitt, Paul and Steve (sorry don't know surnames) with Peter Smeaton the younger (on the 08). The hauliers unloaded the loco about lunchtime using a technique that Les and I hadn't seen before - the brake van was buffered up (very gently) to the loco on the low loader and coupled, before the diesel shunter drew it away. After a bit of shunting to get wagons out of the way, the loco and tender were positioned over the pit and the drawbar pins dropped in. All the pipe work was joined up, everything was split-pinned and then, using the big spanner (we left it on top of the tender rear) it only needed two of us the tighten the nut and get the cotter pin in! Then we fitted the brake linkage. Some brake adjustment is planned tomorrow, when in steam. A bit more firtling to sort out the guard irons and that was it. 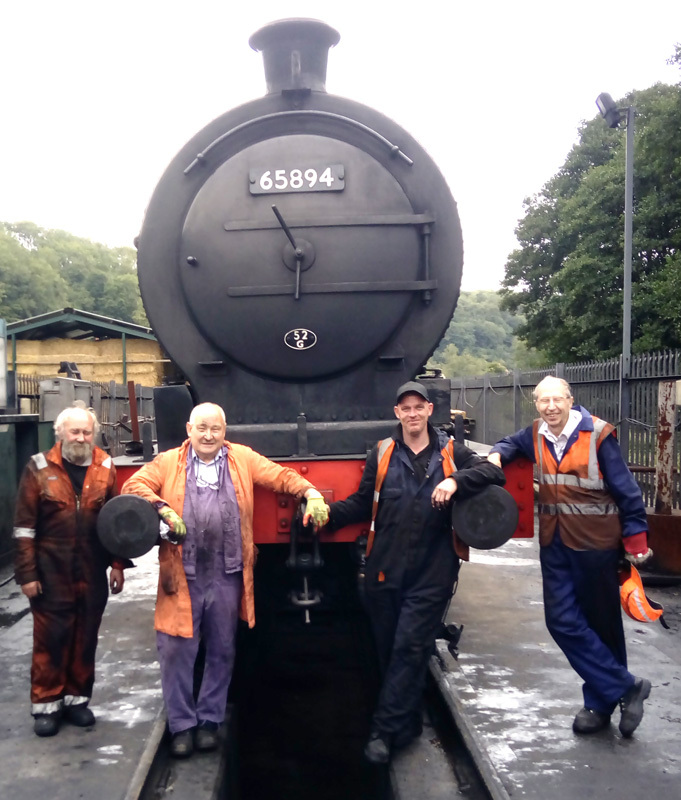 The NYMR lads had filled the tank and the boiler and lit a warming fire ready for the run to Grosmont tomorrow.